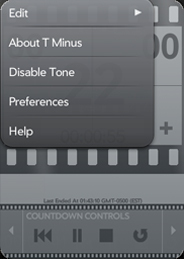 T Minus is perfect for anyone who wants an easy to use, customizable, functional and flexible timer application. 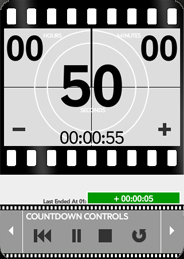 It allows you to pause, resume, stop, start and reset the countdown easily. 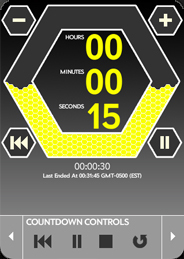 There is also looping functionality which will allow you to continuously repeat a countdown. 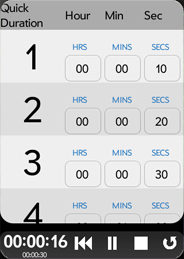 Starting times (durations) can be easily set using the Set Duration picker or by using 8 customizable Quick Durations. A default starting duration can be configured to have the countdown start as soon as the application is opened. 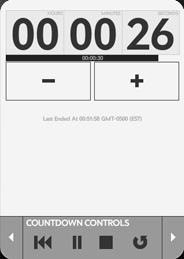 Quickly modify the current duration by tapping the Increment/Decrement buttons which have customizable values, or flick using varying configurable velocities at the Hours, Minutes and Seconds values on the main screen, even as the countdown is running. As the countdown nears the end, a notification will display to alert you that the countdown is nearing zero. An optional audible tone and vibration occurs when zero is reached. 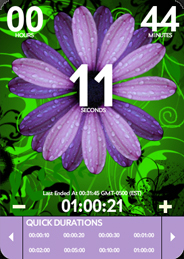 The main countdown screen can be displayed using one of multiple themes. In addition to the main screen, a Dashboard will become available when the main screen is minimized or the device is locked. 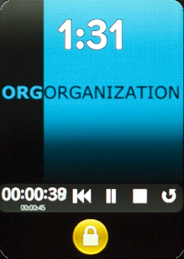 The Dashboard will show the remaining duration, starting duration and Start, Stop, Pause, Resume, Reset and Loop controls. All of the controls are fully functional from the lock screen. Get this full featured application at just 99 cents for a limited time. Default Start Duration which will start when the application opens. Notifications to prepare you for the end of a countdown. Vibration when zero is reached. Optional audible tone when zero is reached. Dashboard view available when T Minus is minimized. Dashboard shows the remaining duration and starting duration as well as Reset, Pause, Resume, Stop, Play and Loop controls. The Dashboard controls and durations are fully functional from the lock screen for added convenience. T Minus is available for WebOS devices. For more information on WebOS,please visit Palm.